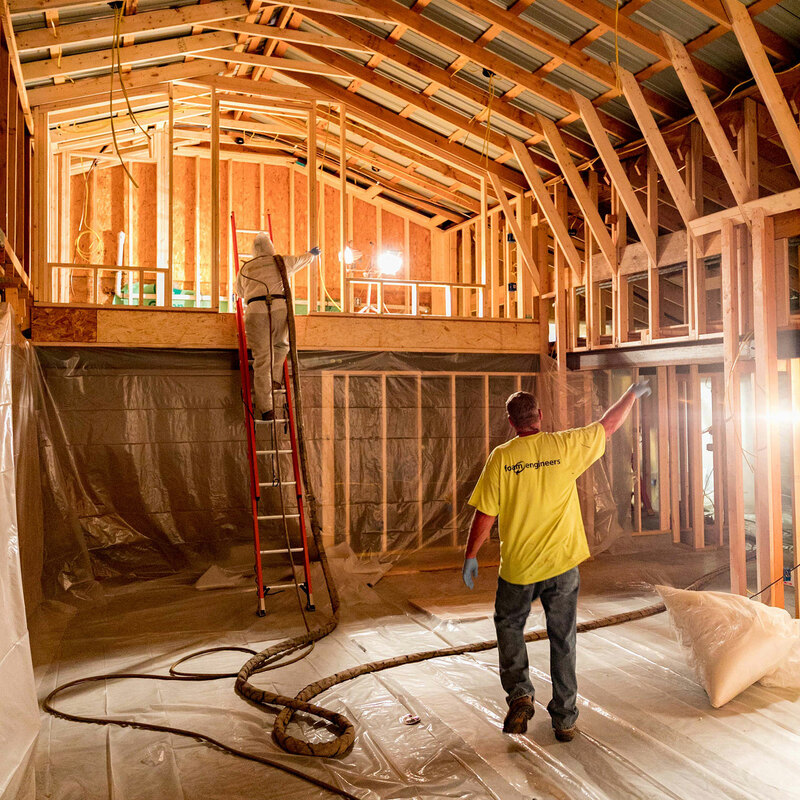 Foam Engineers was brought in to spray foam insulate a remodeling project at Huzzah Valley Resort. The resort is adding a Pizza Shack and plans to have it open before Memorial Day weekend. The newly remodeled area will provide a comfortable place for campers and floaters to cool down and enjoy a great pizza! The Foam Engineers crew prepping the job site to begin the spray foam application. 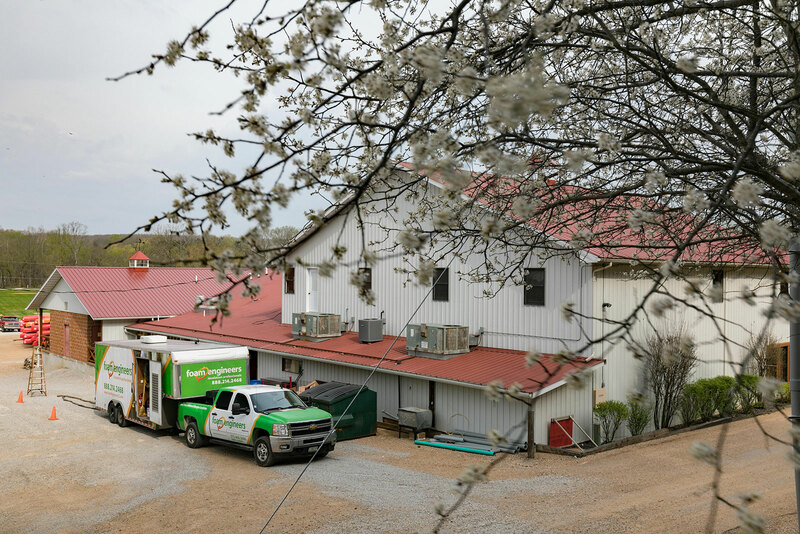 Open cell spray foam insulation was applied to the walls and underside of the metal roof. Spray foam fills the gaps and cracks which allow air infiltration to occur. 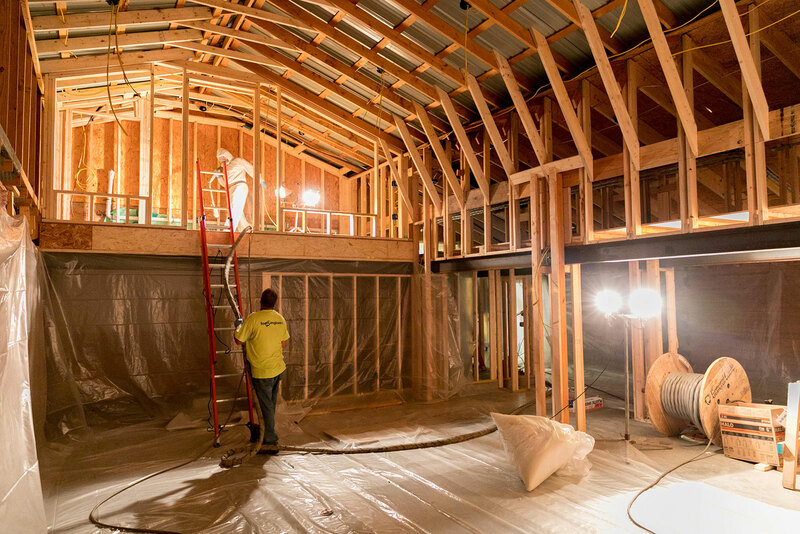 A properly air sealed space not only reduces energy costs, it also improves comfort. 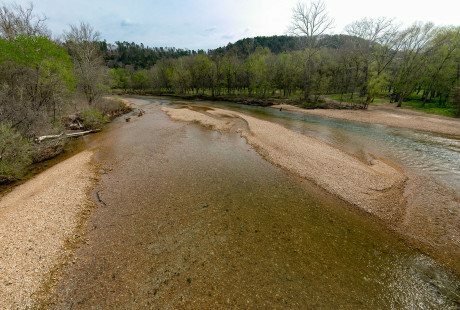 The crystal clear water of the Huzzah River offers some of the finest floating, fishing, swimming and natural environments in Missouri. Huzzah Valley Resort has been outfitting trips on the Huzzah, Courtois and Meramec Rivers since 1979. The resort offers something for everyone with camping, lodging in cabins, canoeing and many other activities to entertain and engage guests of all ages. 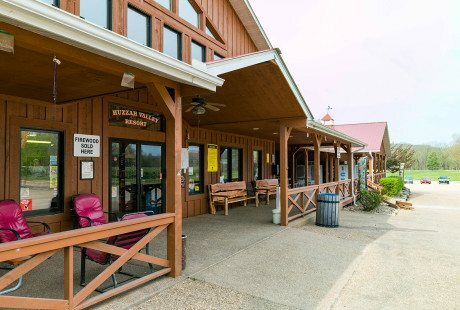 The Huzzah Valley Resort is located near Steelville along the Huzzah River just 1 1/2 hours from St. Louis.